Ukraine joins the EU’s Horizon 2020 programme to open up €80 billion in opportunities for Ukrainian scientists and Small and Medium-sized Enterprises (SMEs). This opportunity was made possible through Ukraine’s signing of the Horizon 2020 association agreement under unprecedented conditions: a 95% membership discount with the opportunity to pay the membership fee over a period of four years. 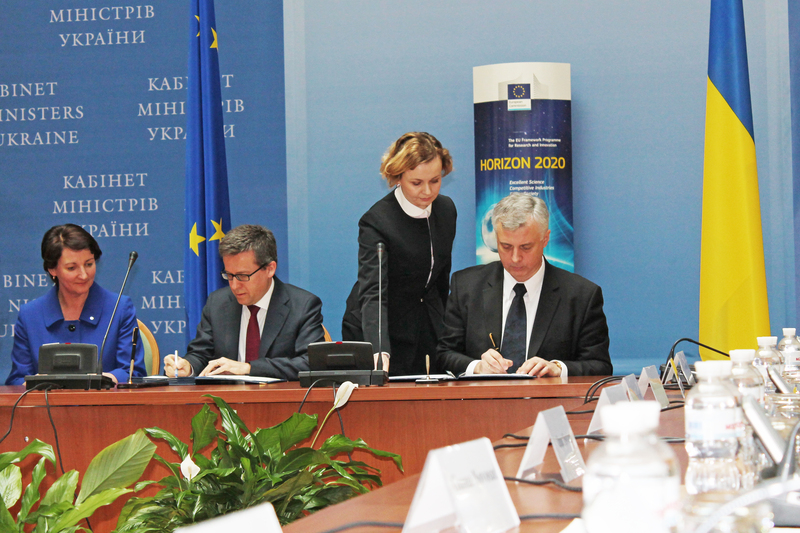 The Horizon 2020 association agreement was signed in Kyiv on March 20 by Carlos Moedas, EU research, science and innovation commissioner, and Serhii Kvit, the Ukrainian minister of education and science. Carlos Moedas and Serhii Kvit sign Horizon 2020 association agreement. “Horizon 2020 is expected to substantially boost Ukraine’s integration into EU and international scientific communities,” noted Moedas, adding that “it gives Ukraine the same access to all programme components as EU member states have, namely: scientific infrastructure development, mobility grants, twinning projects on interuniversity cooperation, and support to innovation for SMEs.” This includes the Marie Skłodowska-Curie actions, a €6 billion programme of research grants. Innovation in SMEs and Access to risk finance are two business-targeted components of the programme that are now extensively available for Ukrainian entrepreneurs under Horizon 2020. The considerable membership discount means that Ukraine will contribute just €35.5 million by 2020, says Kvit. Half of these costs will be returned to Ukraine in the form of technical assistance to Ukrainian research institutes. Kvit summed up the event by declaring the Horizon 2020 association to be a big step towards Ukraine’s European integration. “This is what our Revolution of Dignity stood for,” Kvit said. Jan Tombiński, the EU ambassador to Ukraine said that, “in the last 20 years, Ukraine has lost more than 10% of its population because of emigration.” Ukraine has faced tremendous brain-drain, with only 0.25% of the national budget allocations going to the science sector, which is extremely low compared to the average budget allocations to science in EU countries. “To get a bigger piece of this €80 billion pie, you need to be proactive, know English, and stay on the cutting edge of modern research,” advised Kvit. To provide advice to Ukrainian researchers, Horizon 2020 established National Contact Points (NCP). Ukrainian scientists and innovative entrepreneurs can address all their inquiries to thematic NCPs via email or phone. Ukrainian NCPs are ready to provide all necessary information on the list of current projects, the terms of participation, application procedures, participation in consortiums, search of partners, etc. All interested parties are strongly advised to keep apprised of updates on the Horizon 2020 national website. The website contains useful tips and details on events such as information days and webinars for potential participants. 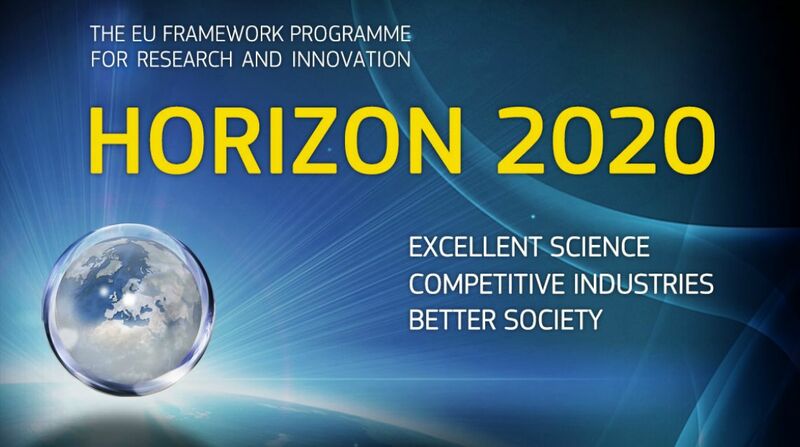 With a budget of almost €80 billion for 2014-2020, Horizon 2020 is the largest multinational programme dedicated to research and innovation. In its predecessor, FP7, Ukraine was one of the best performing countries. The top five priority areas with retained participation from Ukraine were environment (including climate change), transport (including aeronautics), nanosciences, nanotechnologies, materials and new production technologies, food, agriculture and fisheries, biotechnologies; and space. Ukrainian legal entities, involved in research and innovations, can already participate in all Horizon 2020 activities funded under the 2015 budget, as this association covers the years 2015-2020.